Courtesy of Keller Williams Realty Ptnr,LL. Location, location! 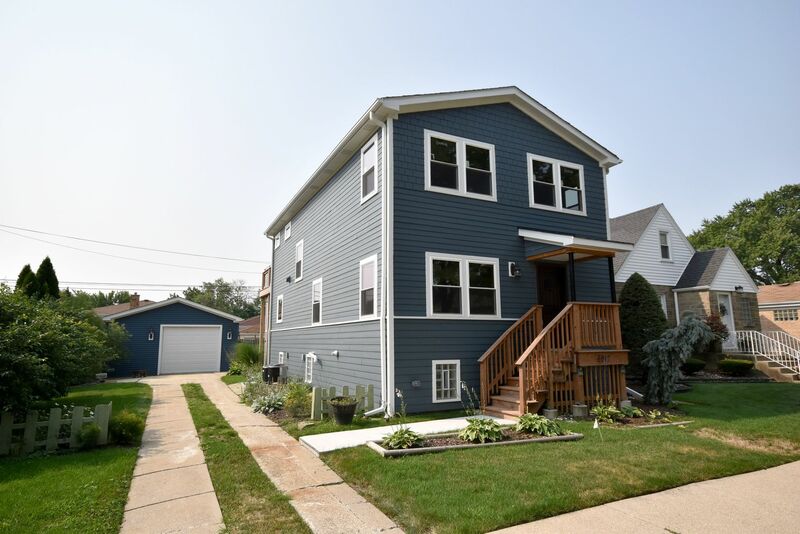 Completely redone 2 story home situated on a double wide lot close to the NW Chicago border. Walking distance to the Blue Line, CTA, enter I-90 at Harlem, shopping, eating + more! Unique home features gourmet kitchen with island, custom built 42 cabinets with granite counters, SS appliances, Birch hardwood floors throughout. all oak wood solid doors and woodwork hand stained on site. Spacious Living Room and Formal Dining Rm with a den, additional eating area, 4th bedroom or office off the kitchen with a full first floor bathroom and first floor Laundry. 3 nice sized bedrooms up lovely hardwood staircase with ample closet space. Master Bedroom features a walk in closet, private deck and lovely spa-like Master Bath with soaker tub. 2 sep heating & central air units. Basement is currently partially finished. Drywall and tiled floor to be installed before closing. Side drive with brand new 2 car garage and nice yard for family enjoyment. FREE 13 Month Home Warranty. Please, send me more information on this property: MLS# 10132661 – $524,900 – 6917 West Balmoral Avenue, Chicago, IL 60656. I would like to schedule a showing appointment for this property: MLS# 10132661 – $524,900 – 6917 West Balmoral Avenue, Chicago, IL 60656.